Can you think of something more amazing in the interior than a purple kitchen? 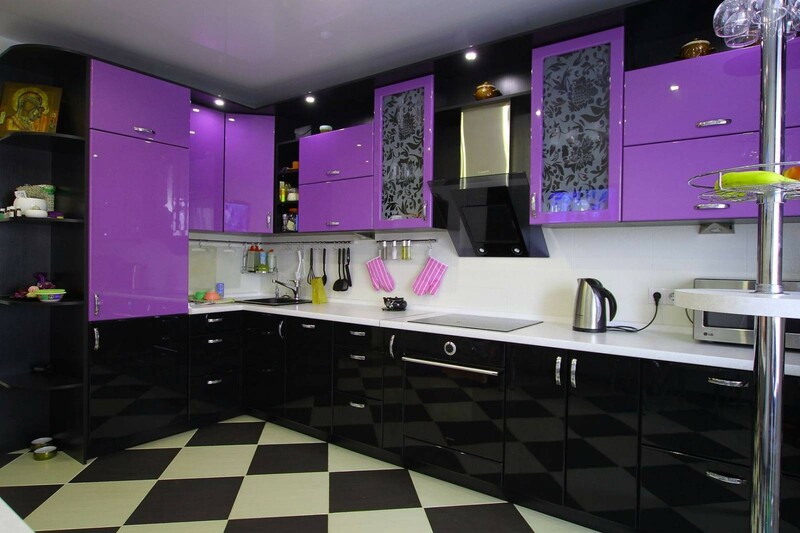 Hardly, After all, even the designers think that this is rather something outlandish. 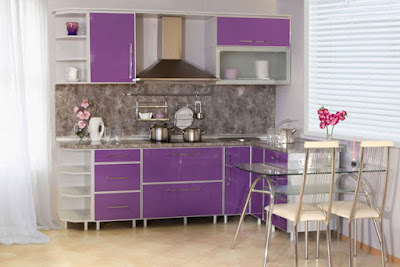 It turns out that there are not many people who decide on the choice of such furniture or finishes. In order to make the kitchen cozy and harmonious, you have to try the modular purple kitchen, because the composition with the violet shades make up is not so simple. 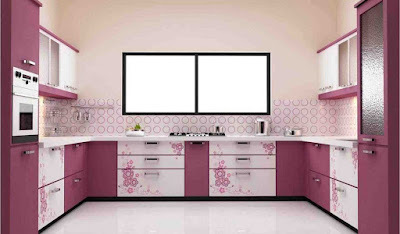 Don't miss the largest catalog on 3DEX: Best modular kitchen designs 2019 catalog. 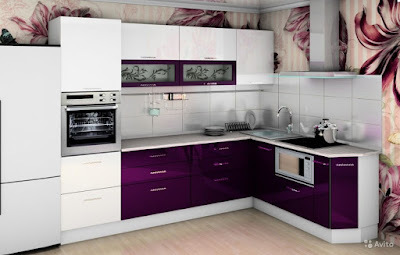 In this article, we will tell you some secrets about purple kitchen cabinets and purple kitchen accessories. We will also tell you about the trends in purple kitchen ideas and its combination such as purple and white kitchen decor. 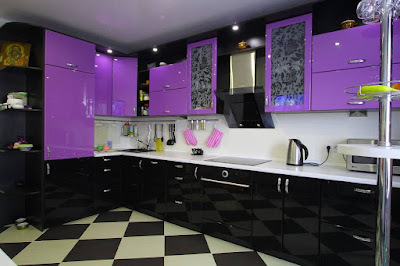 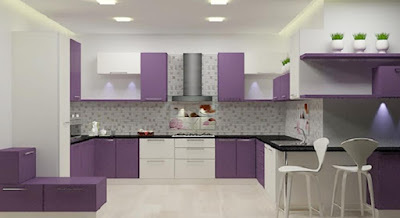 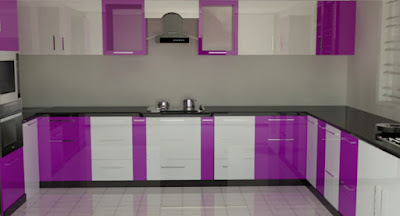 Modular Purple Kitchen Cabinets designs. Before proceeding to design the kitchen interior with this particular color, you need to weigh the pros and cons. In addition to useful qualities, this shade also has negative connotations. A large amount of saturated purple color can cause a depressive state, a feeling of fatigue and apathy. 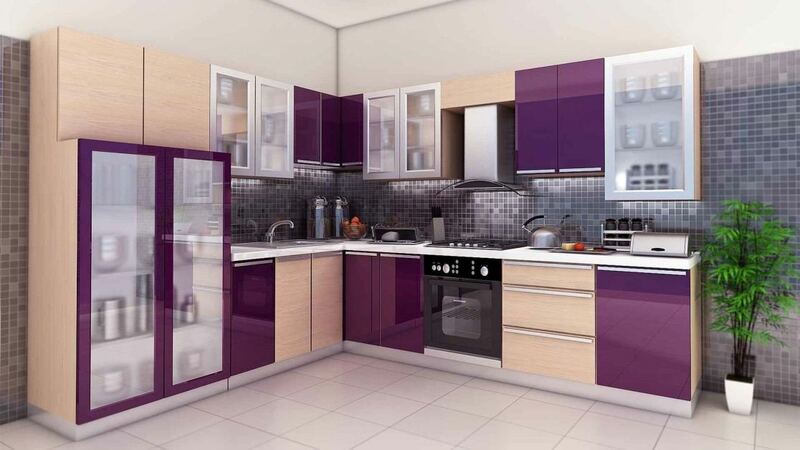 However, if nevertheless, the choice fell on this color, then you need to choose the right shade for the design of the purple kitchen. 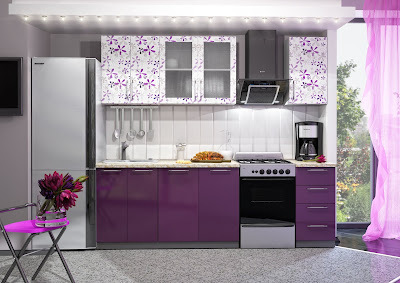 The fact is that it can be warm and cold. 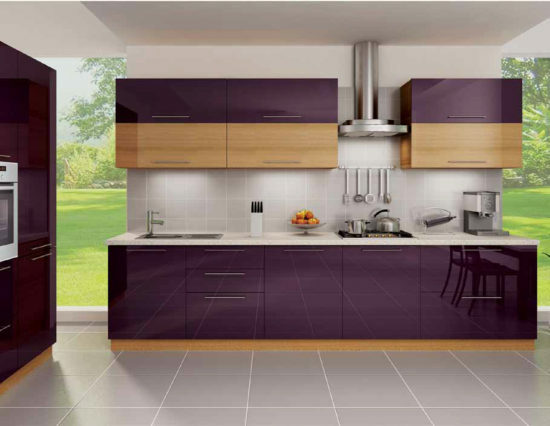 To warm shades are blackberry and amethyst tones, which fill the room with freshness and tenderness. 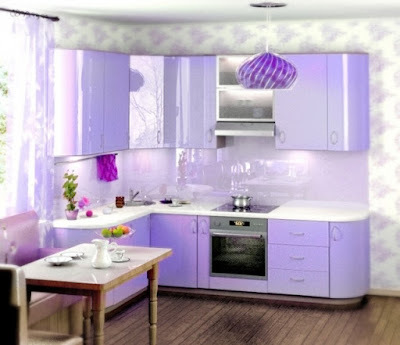 Cold, for example, lavender, eggplant, purple, blue-violet, red-violet, and violet, fill the room with the atmosphere of a certain theatrics, bombast. 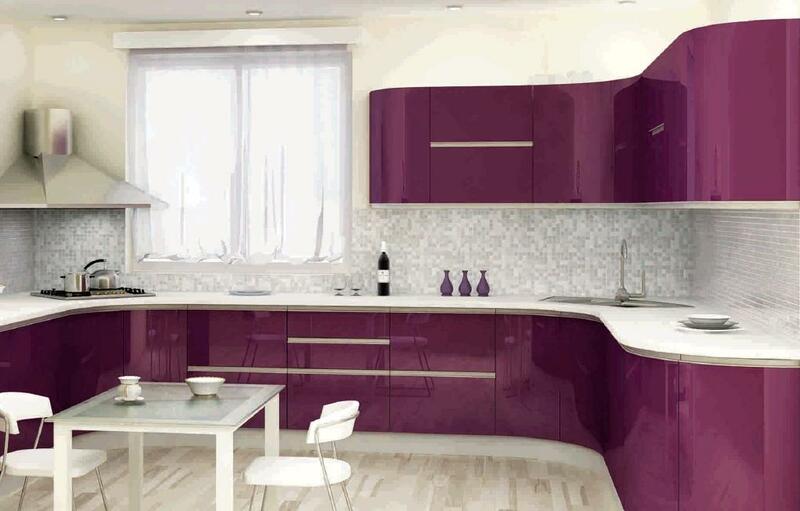 Game shades, their skillful combination, allow you to create unique design solutions, the most unexpected and bold. 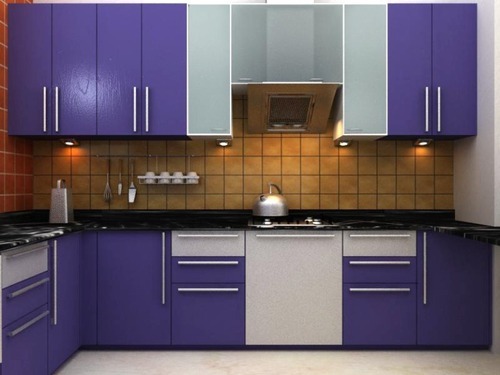 Cold and rich purple shades can be used in large kitchens. This will visually reduce the space, make it solemn. But small details in warm colors will bring a note of freshness and joy that will help to avoid the appearance of oppressive feelings. Small kitchens decorate all the warm tones of purple. They not only visually expand the space but also raise the mood of the hosts and their guests, create a festive atmosphere. 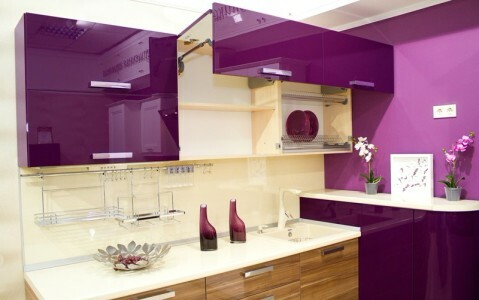 If the warm purple is slightly "diluted" with impregnations of cold color, then the kitchen will become stiff and bright. 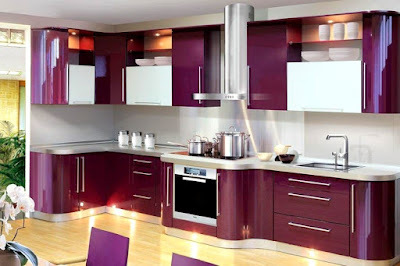 Another color you also may like: Red kitchen cabinets designs. A saturated purple color fits perfectly into such modern styles in the interior as hi-tech, minimalism, avant-garde, constructivism, and also in some traditional styles (country, Provence and others). It will look good both on the facades of kitchen furniture and as some accents in the interior of the room. 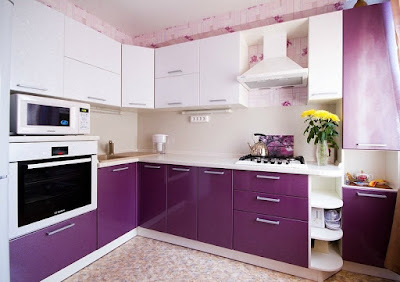 If you decide to finish the kitchen with this color, remember that purple color is very contradictory: according to psychologists, on the one hand, it can cause anxiety, depression, anxiety and other disturbances of a person's psych emotional state, and on the other - increases efficiency, improves sleep and reduces appetite. 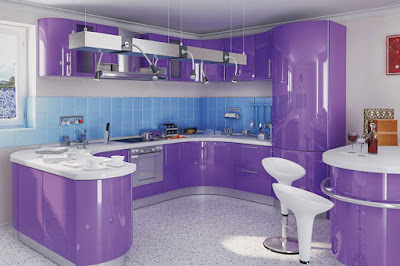 Not everyone will be comfortable in the room, where the main color is purple. 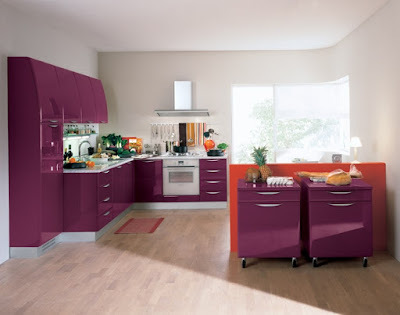 Therefore, the main rule when using this color in the interior of the kitchen - do not overdo it. 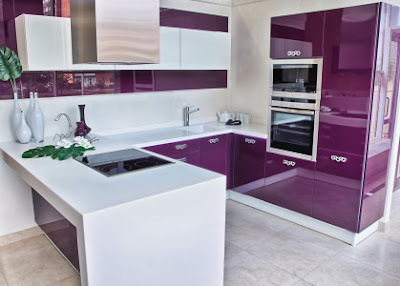 The design of the purple kitchen range should begin with the definition of the main tone because this color has many shades (exquisite lilac, romantic lavender, subtle shades of violets and fuchsia, deep eggplant), each of which will look quite different in the interior. 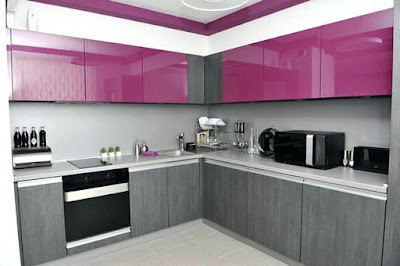 Advice! 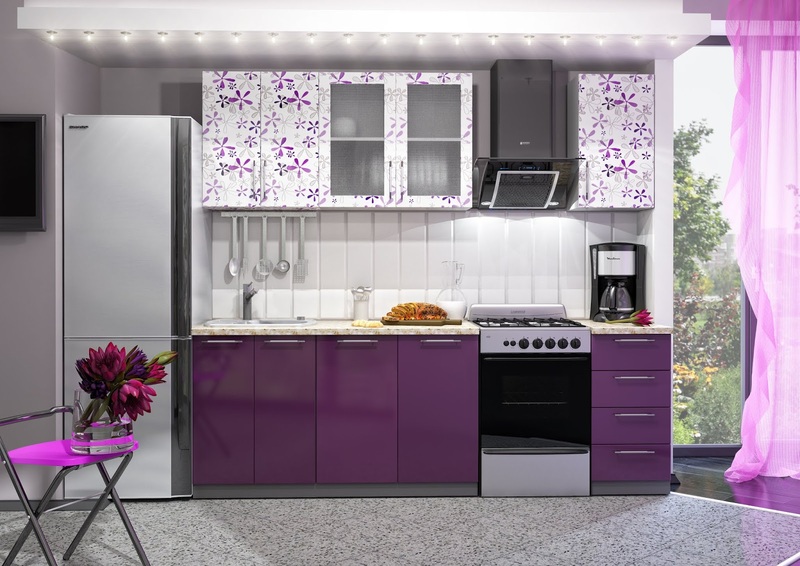 When choosing a tone, remember that the smaller the room kitchen, the lighter the shades of purple need to be used in its interior. The same rule applies to rooms with insufficient natural light: light tones will compensate for the lack of sunlight, and dark ones will visually reduce the space and will bring tangible discomfort when in the room. Designers do not recommend the use of several tones of purple in the interior. 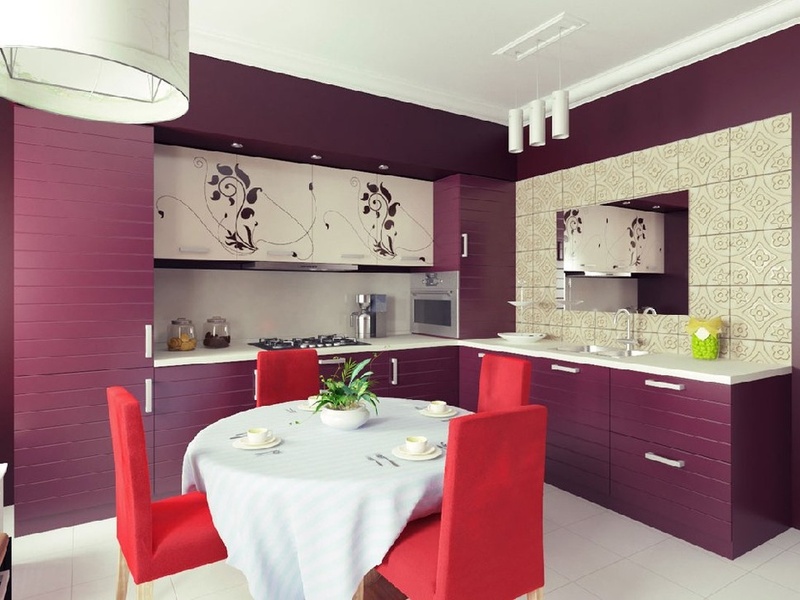 In order not to overload the interior of the kitchen, use this scale, diluting it with neutral light shades of white, gray and other calm colors. 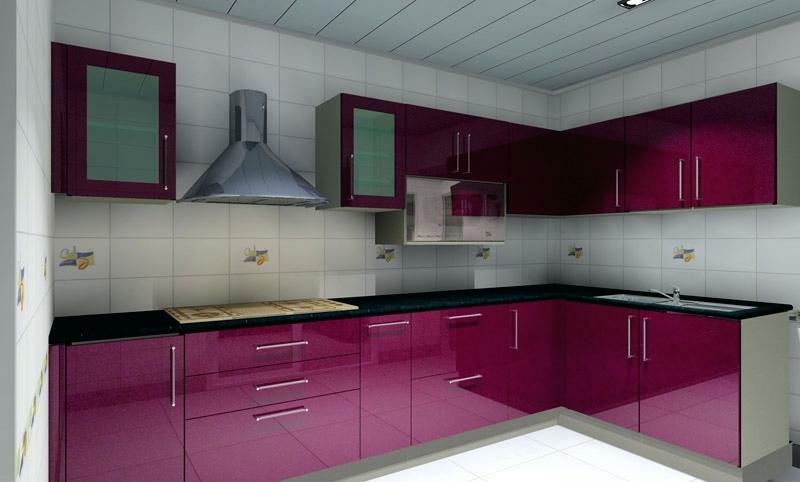 Don't miss one of the most popular catalogs on 3DEX: Open plan kitchen living room designs. Here, the flight of fantasy is not limited, with the help of seemingly ordinary decorative objects you can make so that all friends and acquaintances will characterize your purple kitchen, even without the presence of large-sized furniture of the color in question. 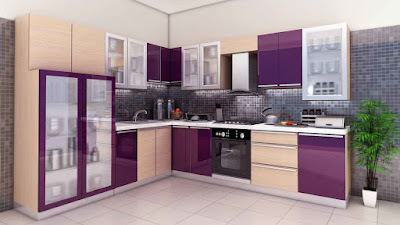 So, the list of purple kitchen accessories: curtains, blinds, vases, tableware, tablecloth, flower pots, picture frames, wall clocks, floor mats, wall lamps, ceiling chandelier, chair covers. 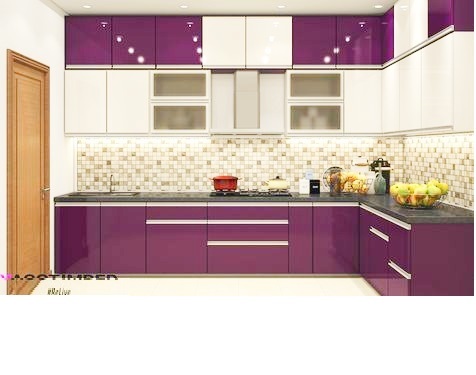 Only you should be aware, when there are too many items of the same tone, the room seems to be overloaded, so stop the selection on 4-5 items from the list, and then your interior will be extremely admirable. In addition, the style of accessories can set the general background of the room, romantic nature can pick up delicate openwork items. 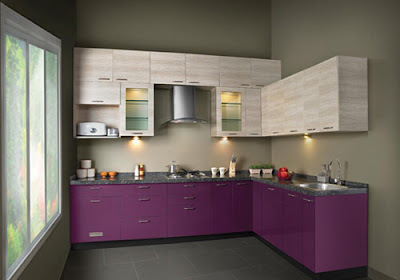 A harmonious solution, all designers call a combination of purple with any neutral tint. 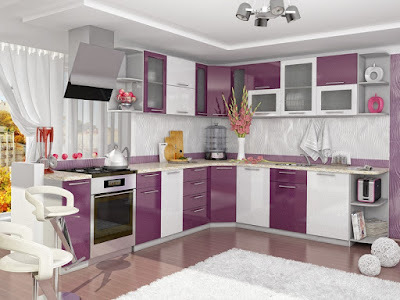 These include white, milky and its tones, beige, cream, light gray. 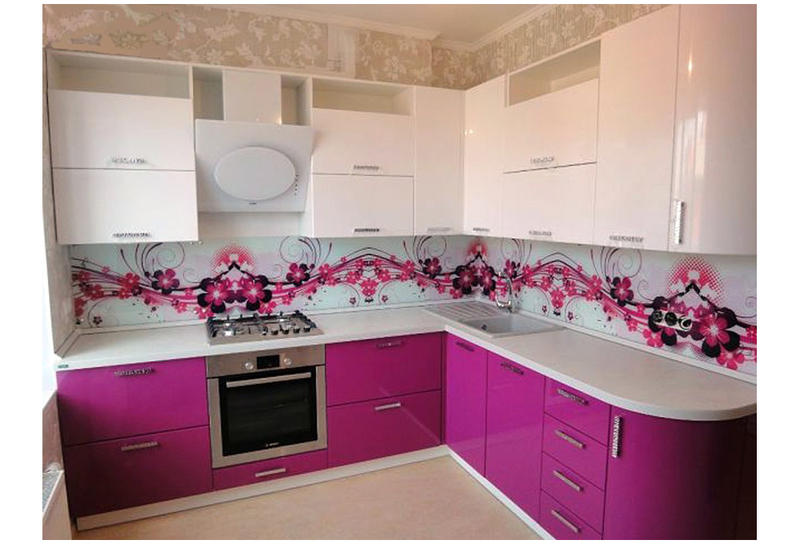 The traditional combination, which has not been out of fashion for more than ten years, is suitable for both small and spacious rooms. 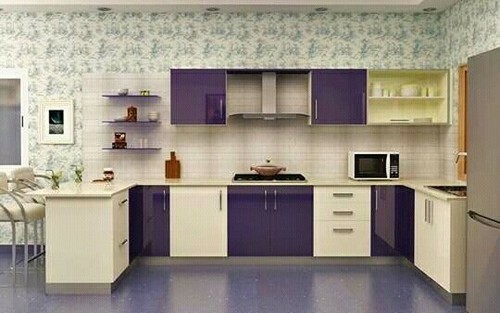 The combination of purple and white kitchen decor is widely used in the modular purple kitchen, usually in the style of high-tech. 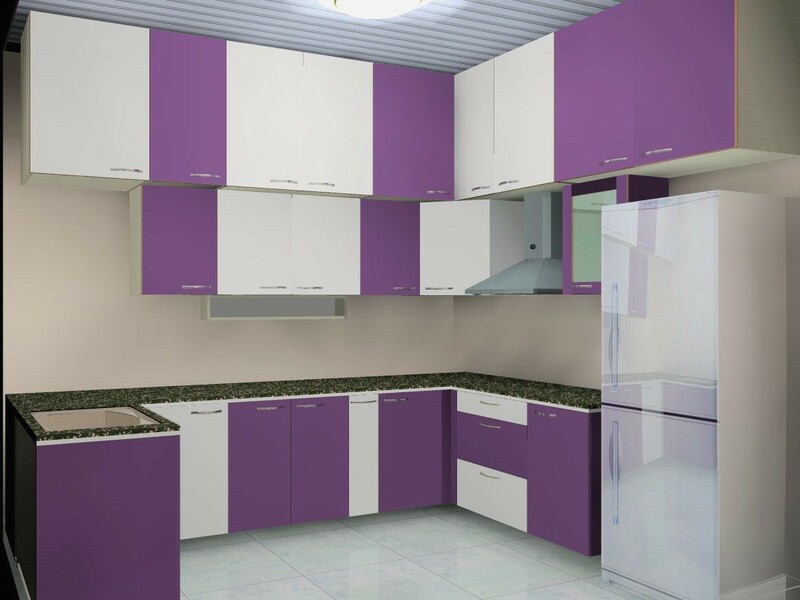 The white-lilac design, as well as in combination with the dark one, looks unobtrusive and neat because any color in duet with white becomes more festive and elegant. 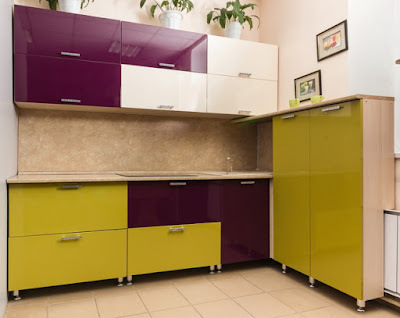 These can be made as walls, and part of the furniture, chairs, finishing the apron and tabletop. The combination of purple and white kitchen decor in the interior of the kitchen can be used both in pure form and be diluted with neutral shades (best of all, the colors of natural wood or stone will fit here). 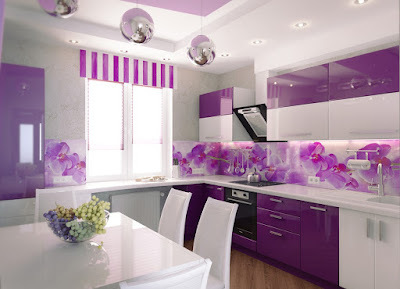 It will be good to look at such a combination in the studio apartment, where the cooking zone can be decorated in purple, and the dining area - in calm shades of white. 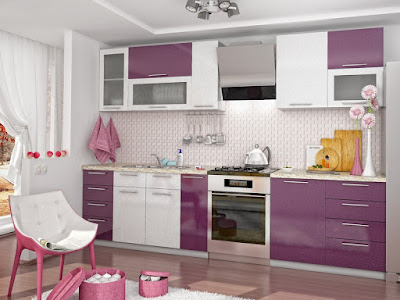 The style of the room should be supported in kitchen textiles. 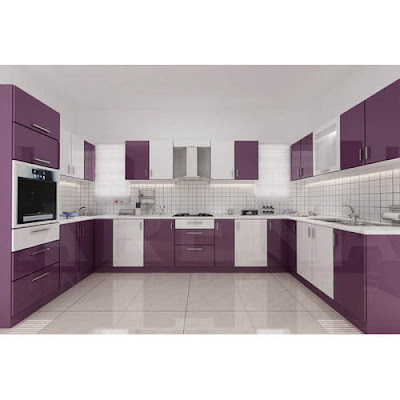 Another interesting variant of a combination of these colors can be the choice of kitchen furniture, where its upper part will have light colors, and the lower one - a saturated purple color.